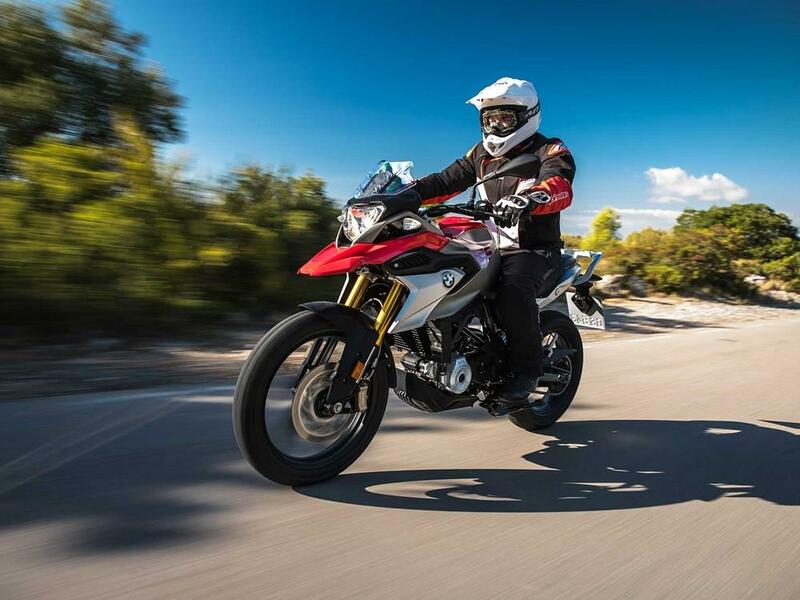 The G310 GS is economical, easy to ride and allows you to step onto the BMW ladder and join the GS family for just over £5000.  It looks the part and is an impressive commuter that can even take on some light off-road. 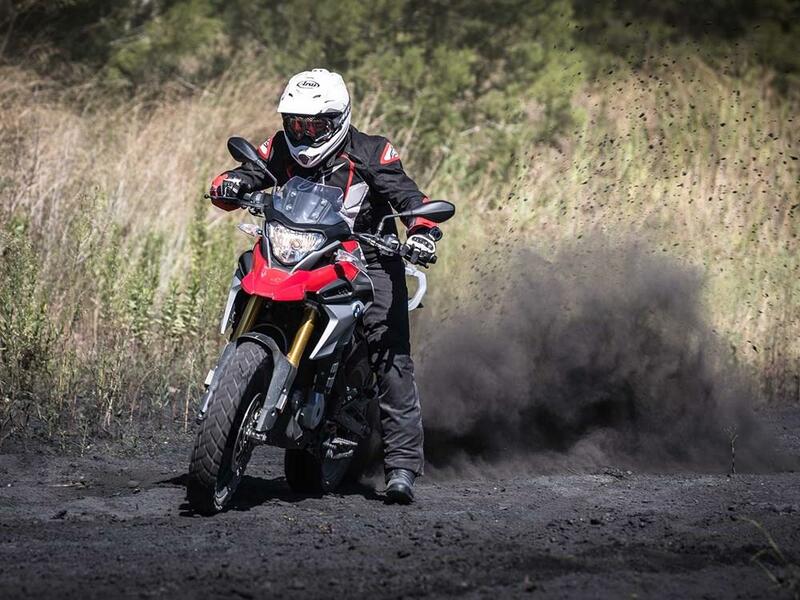 However, more experienced riders contemplating downsizing within the GS range will discover it’s a significant step down; in power, handling and specification. 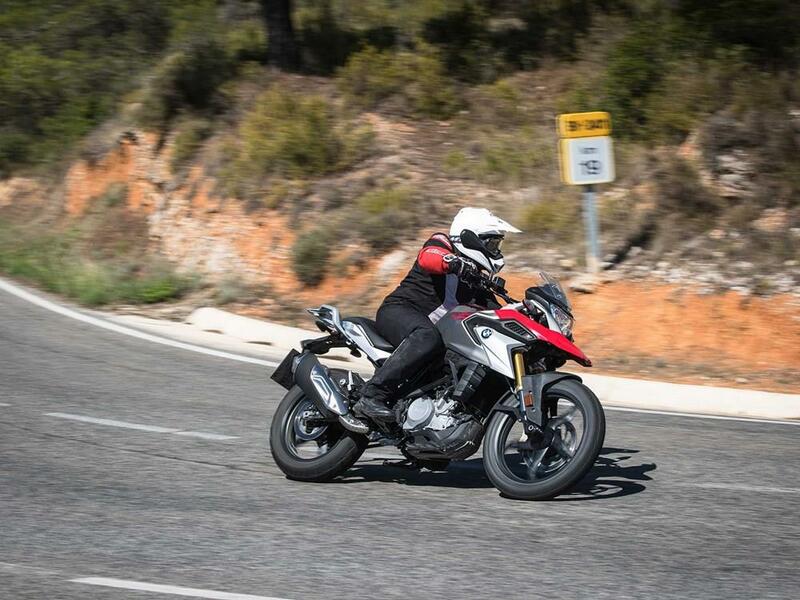 Around town the small, 168kg GS is easy to manage and manoeuvre, has a roomy riding position, user-friendly controls and is ideal for new riders. There’s nothing to intimidate or confuse you as the clutch is light, the gearbox is positive, and the ABS assisted radial brakes are efficient without being abrupt. But overall the handling is on the soft side. 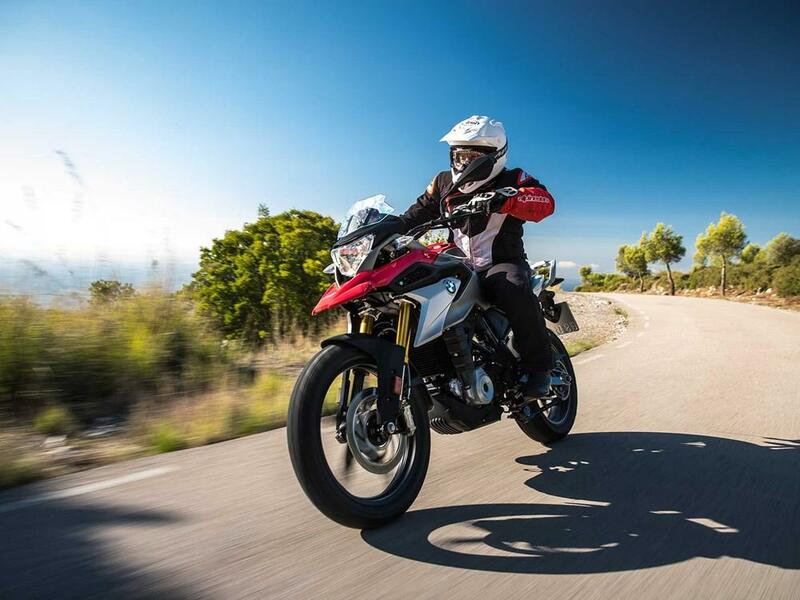 The BMW’s limitations are caused mainly by the bike’s overly soft, long-travel suspension. 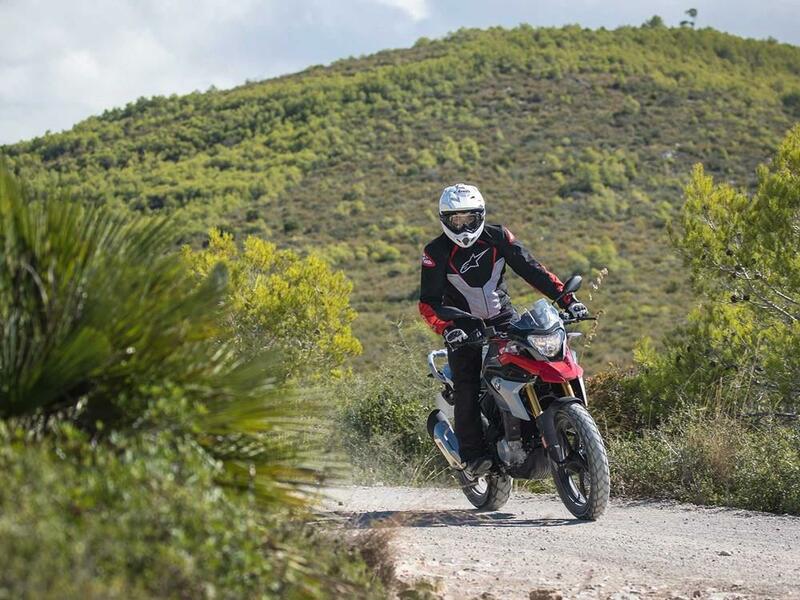 Fine around town, but the non-adjustable KYB forks dive quicker than a scared Ostridge when you attack a hairpin bend, while the feeling from the 19-inch front Metzeler Tourance is no better than vague. Both front and rear suspension lack the control you’d hope for and leave the sporting rider slightly frustrated. 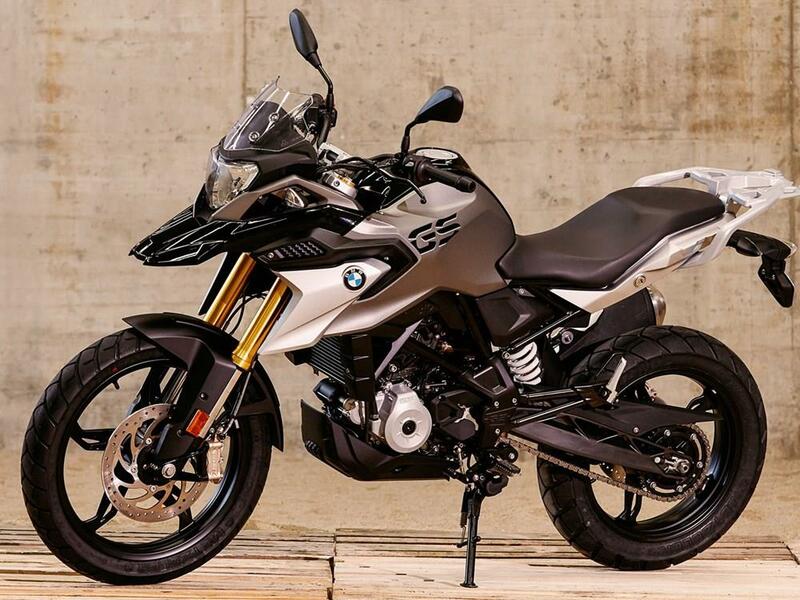 BMW’s all-new G310 GS has much in common with the excellent G310 R. Both share the same reverse single-cylinder engine. 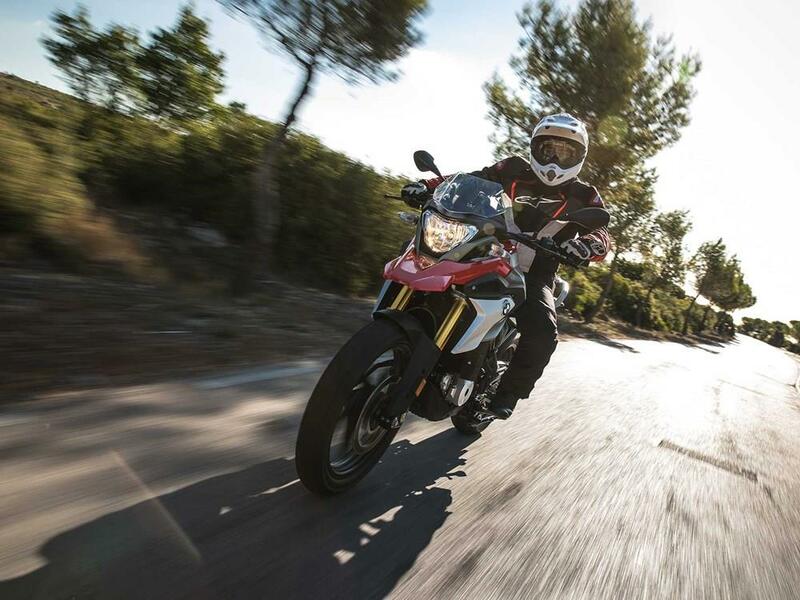 BMW are quoting identical power to the G310 R – 33.5bhp @ 9500rpm and 20.7ftlb @7500rpm – and the little 313cc motor doesn’t mind being flogged to its 10,000rpm redline. 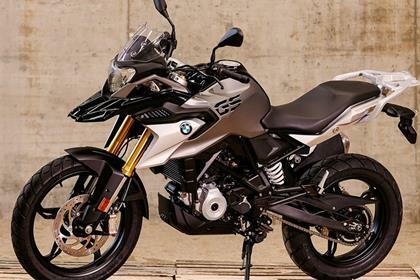 The G310 GS is built alongside the G310 R in India by BMW’s partner, TVS, with the majority of parts sourced or produced in the subcontinent too. There is no doubting the build quality but some things like the non adjustability of the wide-span brake and clutch levers and too-narrow mirrors need addressing. Vibrations are noticable as the speed and revs increase. 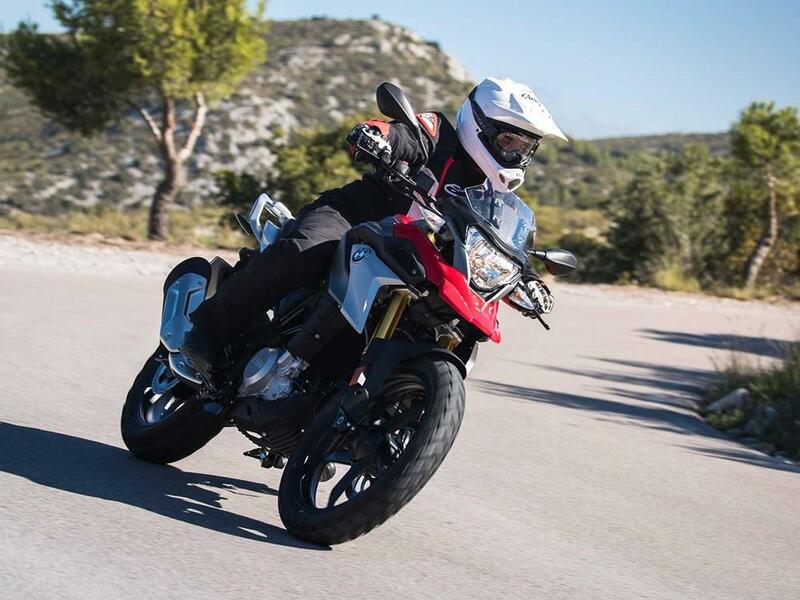 At just over £5000 the all-new baby GS is good value for money and an inexpensive step into the BMW family, £550 more expensive than the BMW G310 R.
ABS comes as standard and can be switched off for light off-road riding. No owners have yet reviewed the BMW G310R (2017-on). We're riding BMW's baby GS tomorrow!